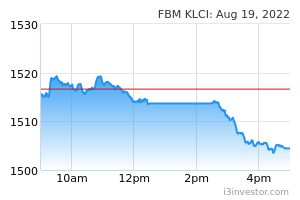 On 19 March 2019, Kenanga, Public Bank and Hong Leong Investment Bank published a report to downgraded Dayang to sell. As a result, the share price of Dayang plunged 24 sen from Rm 1.71 to Rm 1.47 and continued to drop to close at Rm 1.33 on Friday 22 March 2019. 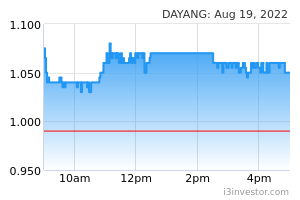 The price of Dayang has dropped a total of 38 sen or 22% in the last 4 trading days. I suspect all these 3 financial institutions are ganging up and using this underhand trick to depress the price so that they can buy Dayang at cheaper prices. Like all Dayang's shareholders, I would like the Securities Commission to investigate whether all these 3 financial institutions owned Dayang shares and whether they are taking the advantage of buying more Dayang shares at cheaper prices. My family members and I have about 30 million Dayang shares and we have lost a huge sum of money.